Unmatched throttle response, plane time, and acceleration. A triumph in marine design. Smooth-running inboards feature proven technology, rock-solid reliability, and an unbeatable combination of performance and fuel efficiency. The power and reliability that makes a fun day on the water unforgettable. No V-8 is built like it. No V-8 runs like it. Do It All. Never Look Back. A reliable catalyst system that produces cleaner exhaust without limiting the performance you expect out of a MerCruiser. The world's premier saltwater corrosion protection system to ensure your MerCruiser stands up to the rigors of the saltwater environment over the long haul. The most extensive drive selection in the industry, with more than a dozen options to choose from – so there’s a drive for any boat and any application. Easier startup, smooth and stable idling, better throttle response, increased fuel efficiency and reduced cost of operation. 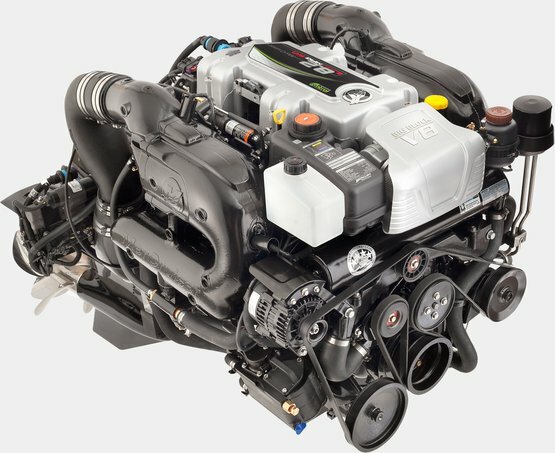 Mercury MerCruiser engines and drive systems are designed, tested, and built exclusively for the marine environment. That translates to best-in-class reliability, dependability, and long-lasting performance. 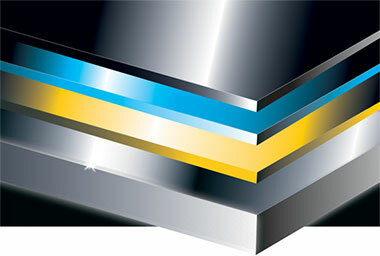 Patented metallurgy technology. State-of-the-art electronics. Robust manufacturing. Grueling lab, endurance, and open-water testing. What goes into a Mercury MerCruiser determines what you get out. Easy maintenance, low cost of ownership, and true peace of mind. Mercury MerCruiser has a heritage of durability and performance that others can only dream about. Nothing compares to the efficiency and well-mannered power of a Mercury MerCruiser. Ultra-responsive acceleration. Impressive maneuverability. Superior durability for unmatched performance. And the large displacement of a Mercury MerCruiser means it will barely break a sweat, all while being one of the easiest to maintain engines you'll ever own. Out in front where it counts. Electronic controls that make boating simpler than ever. Engine-monitoring systems that eliminate worries. Emissions Control Technology that makes you feel good about running cleaner with less environmental impact. Mercury MerCruiser leads the industry in innovations that make boating better. For you and the world around you. For Mercury I.Q. Certified Boatbuilders.